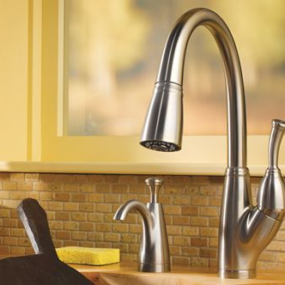 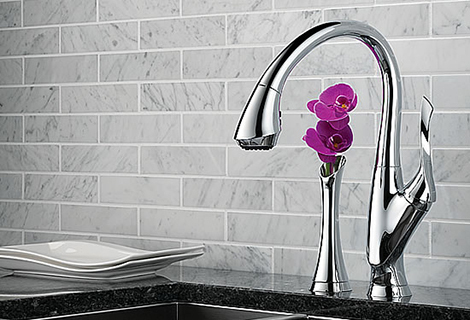 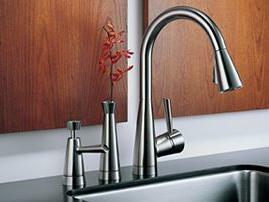 This new Brizo kitchen faucet is spot on trend with its finely-formed looks and neat accessories. 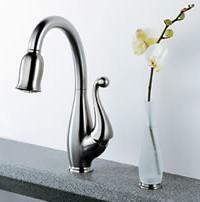 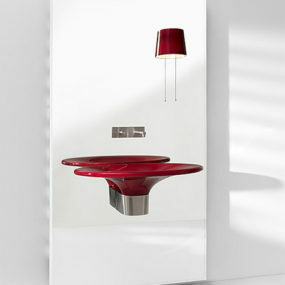 The Belo faucet has an elegant arching form which puts the emphasis firmly on curves. 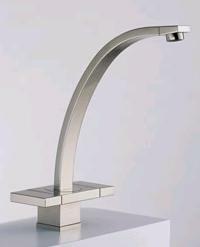 The pull-down wand is not only an ergonomic triumph, but is also highly practical. 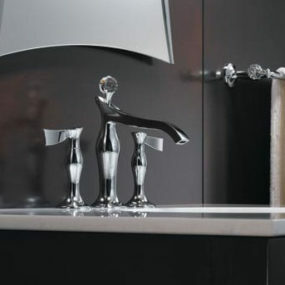 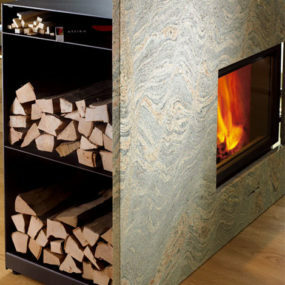 The wand operation offers four functions – and you can choose from single handle, pull-down or pull-out options. 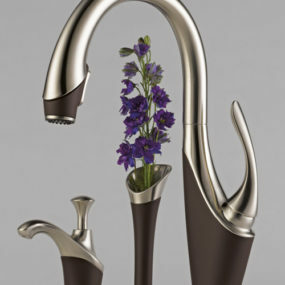 You may also select a matching accessory… what could be more appealing than a pretty matching bud vase? 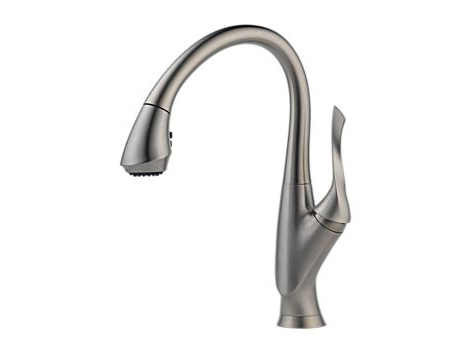 For those of a more practical bent, there is also a soap dispenser and escutcheon. 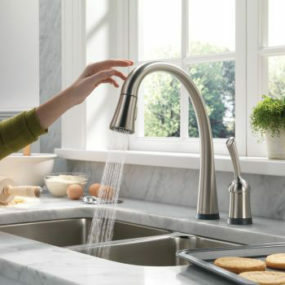 Whatever your preference, you’re sure to appreciate the beauty and functionality of the Belo kitchen faucet, from Brizo.